It's all part of delivering on our mission to enrich people's lives through digital storage anytime, anywhere. 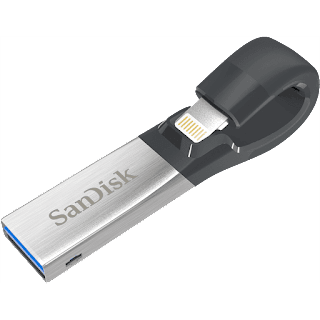 The SanDisk Connect Wireless Stick is the flash drive reinvented to work not just with your computer, but also with your phone and tablet. 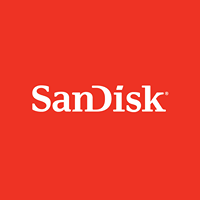 With the SanDisk Connect Stick in your pocket, in your bag or across the room, you can wirelessly access your media or transfer large files, stream HD videos and music, and save and share photos and videos to and from your mobile device. Delivering up to 256GB* of extra capacity, the SanDisk Connect Wireless Stick empowers your mobile lifestyle—whether you’re running a sales meeting or taking a hike in the woods. SanDisk Connect Wireless Stick lets you stream video or music to as many as three other devices at the same time, or gives you access to all your stuff from the pocket of your jeans. When you’re feeling old school, use the USB connector to plug in. 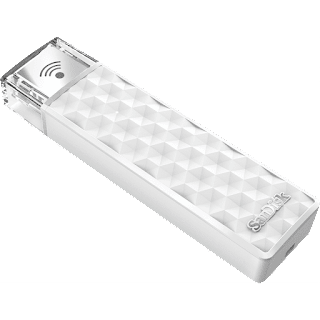 Free up space on your devices with the SanDisk Connect Wireless Stick & iXpand Flash Drive! I don't know about you, but I have a gazillion pictures and videos on my iPhone and iPad. Actually, just recently my iPhone ran out of storage and I couldn't even download a simple app. 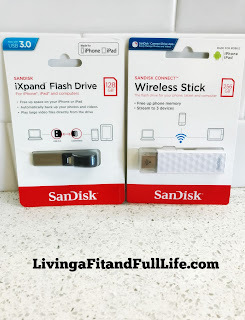 I used the SanDisk - iXpand 128GB USB 3.0/Lightning Flash Drive and was super impressed at how quickly I was able to backup the pictures on my iPhone and I love that I can even password protect my files. I really like that the SanDisk - iXpand 128GB USB 3.0/Lightning Flash Drive works with my phone case on because most of the time I actually have to remove the case to plug things into my phone. The SanDisk Connect Stick is also amazing! I absolutely love that I can wirelessly access my media files as well as transfer large files with ease with the SanDisk Connect Stick. It's a dream come true for this blogger! I also really like that I can stream video and music to as many as three other devices at the same time. This is going to come in handy while traveling because it will enable my kids to be able to watch the same movie on their devices when we're on the go or hanging out in the hotel room. The SanDisk Connect Stick gives me access to all my stuff and fits in the pocket of my jeans! It's wonderfully amazing! The SanDisk Connect Wireless Stick and iXpand Flash Drive are the perfect way to free up space and access all your stuff with ease wherever you are!